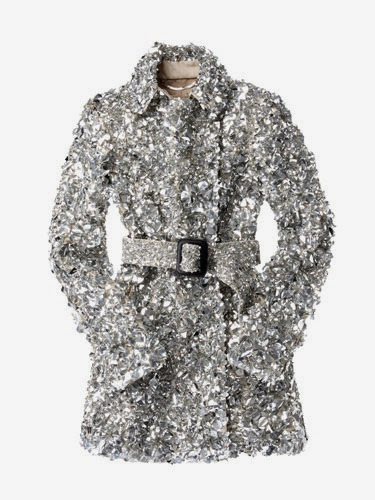 I don't know where I came up with this idea but all of the sudden I NEEDED to sew a sequin trench coat. I fought it for a while but i finally gave in and got the fabric a little before Christmas. I found some inspiration on pinterest. The above picture is a Burberry trench from a few years ago, I can't image how much that would cost. The black trench below is a vintage stunner, and I think my version will look more like this. 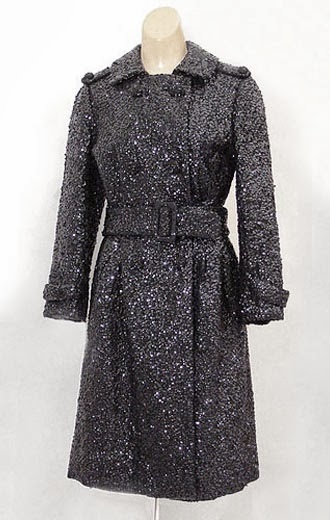 It has more of the elements of the classic trench coat but done in that fabulous sequined fabric. 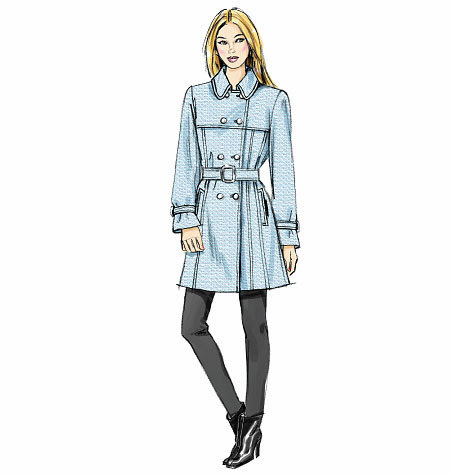 I picked the classic trench pattern Vogue 8884 (version 3), and spent a lot of time on the muslin. The shoulder, and armholes were way too big, and it took a while to get the fit down. I chose a silver sequin that form a circle shape. It's very thin, the sequins are sewn on netting, so I backed all the sequin pieces with cotton flannel. The facings, undercollar, and collar stand are made in a silver silk, because the sequins would be uncomfortable touching the skin. Its not hard to sew sequins, its just a matter of choosing the right needle. I used a microtex in a size 14. I broke a few in the beginning until I got the right one. If you follow me on instagram (erikamadeit), you have seen a sneak peek of the process. I plan on finishing this week. Its all hemmed, I just have buttons and buttonholes to go! Pin It Now! This is all kinds of awesome! Won't keep the weather out - but then, what diva goes out in weather anyway! Can not wait to see the finished coat! I have never seen a sequins coat, but they look very pretty! I want to see how you make i! Yowza! When I saw the blog header, I was all...hmmm...But I love your fabric and the inspiration coats. Should be FUN! It looks like it's going to be gorgeous! It looks pretty from what you've got so far. It will be neat to see it when it is all together. Ooohh! I see what you mean... now I need a sequinned coat too... will be perfect for an autumn wedding I have to go to!!! I have that pattern too so I will watch with interest!